[UPDATED with Hi-Res] Zack Snyder and Henry Cavill took to the stage at Comic-Con out in San Diego, and debuted what sounds like immense first footage from next summer’s blockbuster. Snyder confirmed that the first trailer will be attached to The Dark Knight Rises (at least in the US), and debuted an awesome new teaser poster of Cavill as Superman, cast in shadows. The film’s official Facebook has released the hi-res version, and it looks rather awesome. Alongside Cavill, we can look forward to seeing a brilliant cast in Amy Adams, Russell Crowe, Kevin Costner, Diane Lane, Laurence Fishburne, and Michael Shannon as General Zod. 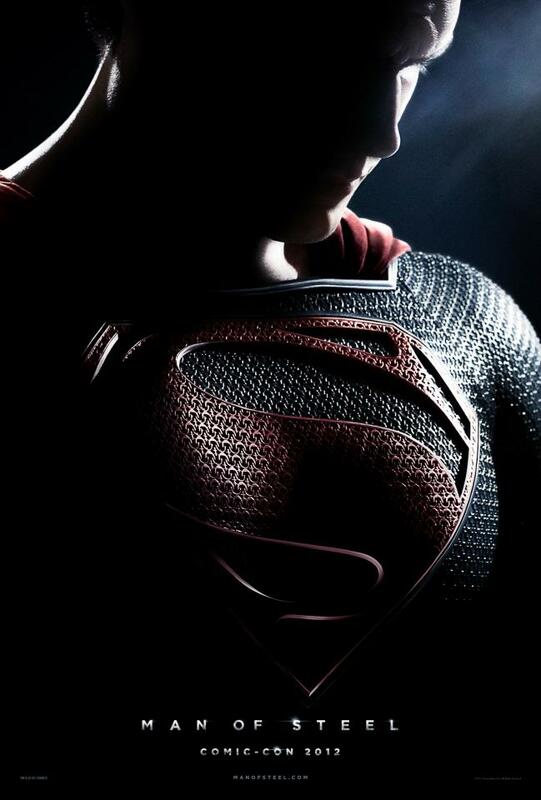 Man of Steel will be released in regular and IMAX theatres next summer on 14th June, 2013 – expect immensity and nothing less. Judging by what we’re hearing from Comic-Con, it’s all looking fantastic so far. Next articleMarvel Confirm Guardians of the Galaxy + Reveal Full Titles & Logos for 2013/14 Line-Up!